So the ugly ducking turned into beautiful swan and everyone, lived happily ever after. Incredibly, this beautiful shawlette is the fugly ancient bra handspun. 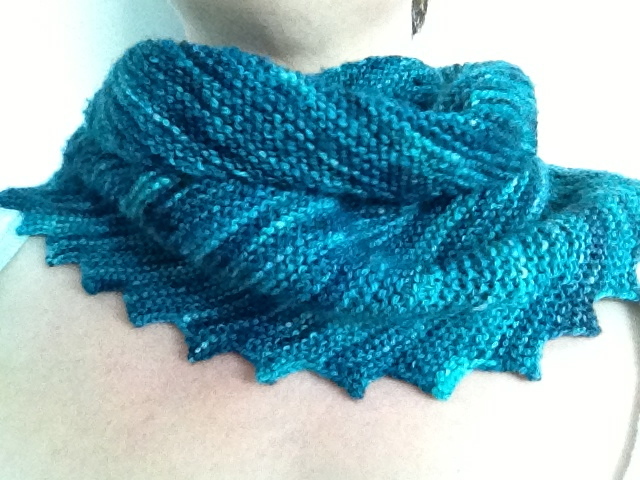 Now a gorgeous shawlette made from the hitchhiker pattern. Rav link. Needless to say. I’m very happy with it as a beautiful garment, a reminder of fun, crafty times with friends and a measure of how much my spinning has progressed. Talking of transformation and progression, the end of 2012 was very trying with a major life change, brought on by me but 2013 is emerging as a year of positivity, possibility and progression. Sadly, my Etsy store has closed for the forseeable future but my fibre will be popping up for sale elsewhere so stay tuned! Yay! My Etsy shop is finally open. Click on Shop in the menu to see all my yummy hand blends for sale. 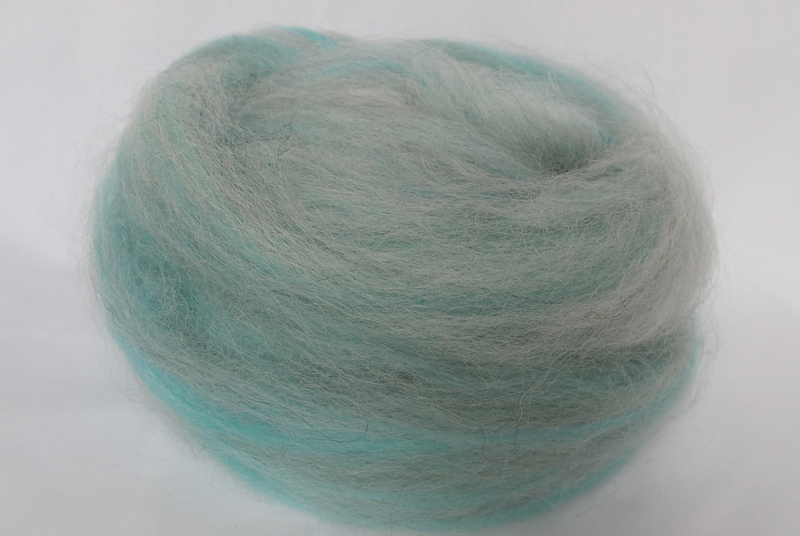 Thanks to Bee for the tweaking of my blog and to all my wonderful fibre friends for their support and encouragement. It gets a lot of pics because it’s so flipping pretty! I have 170g available for $47.60 plus postage. 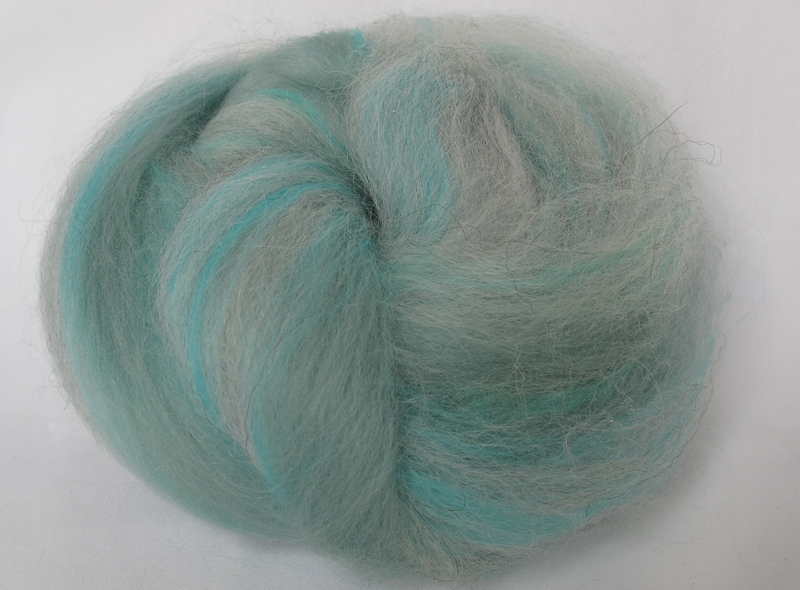 As always it comes packaged in a box to prevent the squishing and ruffling of these hand blended fibres. Postage is by Australia post and will be calculated once I know where to send the pretty fluff. More colour ways are on their way so visit me again soon. Mmmmm, I love caramel and one of my favourite desserts is creme caramel though to be totally fair I love everything toffeeish and caramelly. So, I’ve blended up some delicious caramel coloured Fluff on my hackles in celebration of all that is lovely and caramelly. 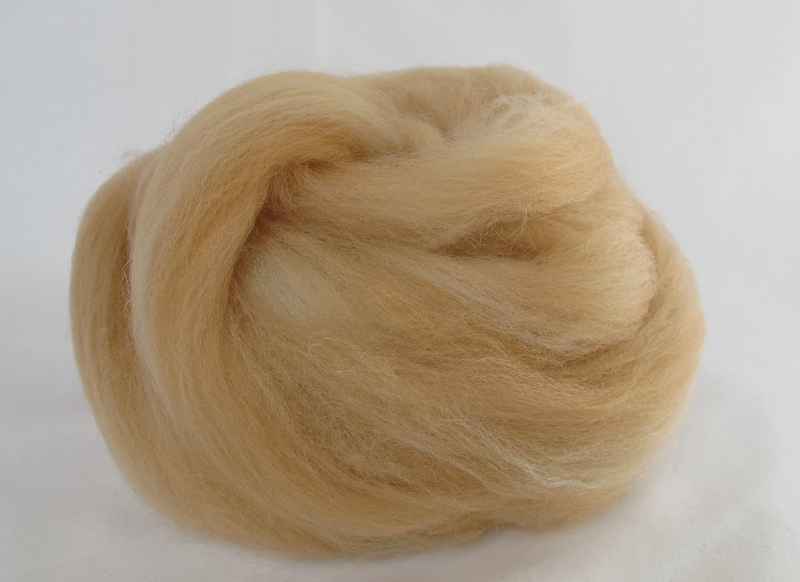 It’s fat free with no artificial sugars and light as a feather made from deliciously soft Merino weighing 110g and I’m selling it for $30 plus postage. It’s packaged in a box to prevent the squishing and tangling of the fibres that I’ve hand blended. 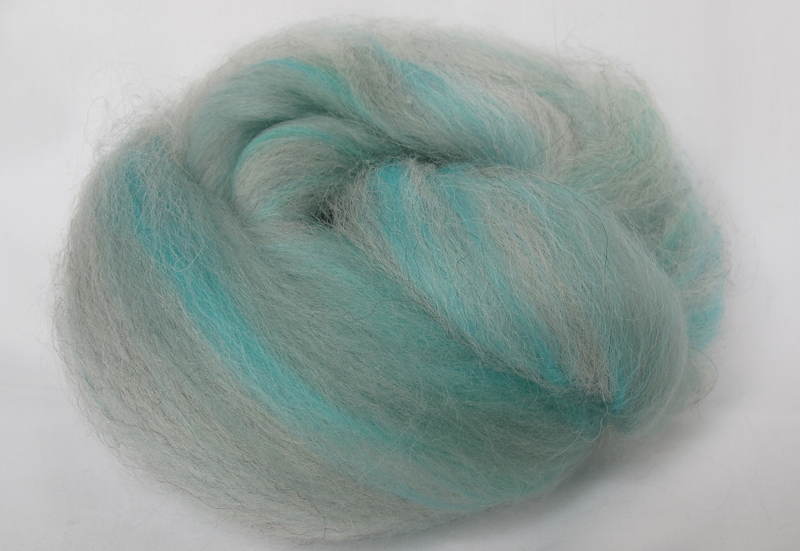 I’ve had a busy weekend with the hackles making lots of pretty clouds of wool. It’s not a particularly great photograph but I just wanted to show what it is about blending on the hackles that makes me giddy with excitement. 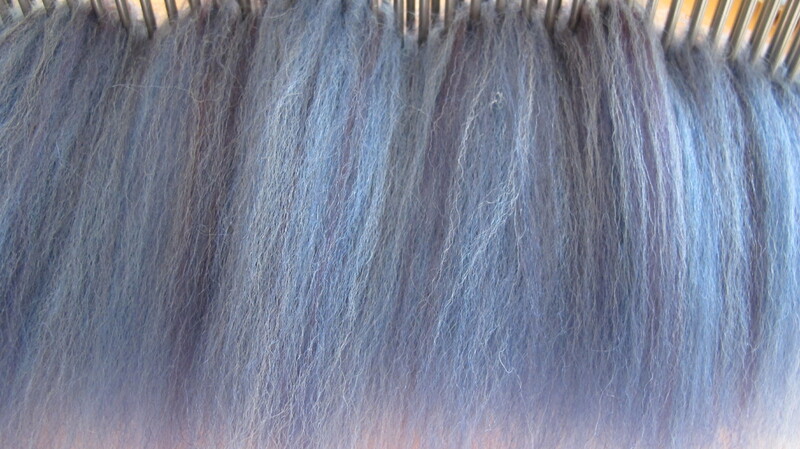 If you couldn’t guess its the play with colour, there are 3 shades of blue and 2 shades of purple in this blend. I like to blend like this because I’m trying to create yarn that isn’t flat in colour or tone, that has depth and interest. For me it’s a more natural and aesthetically pleasing. 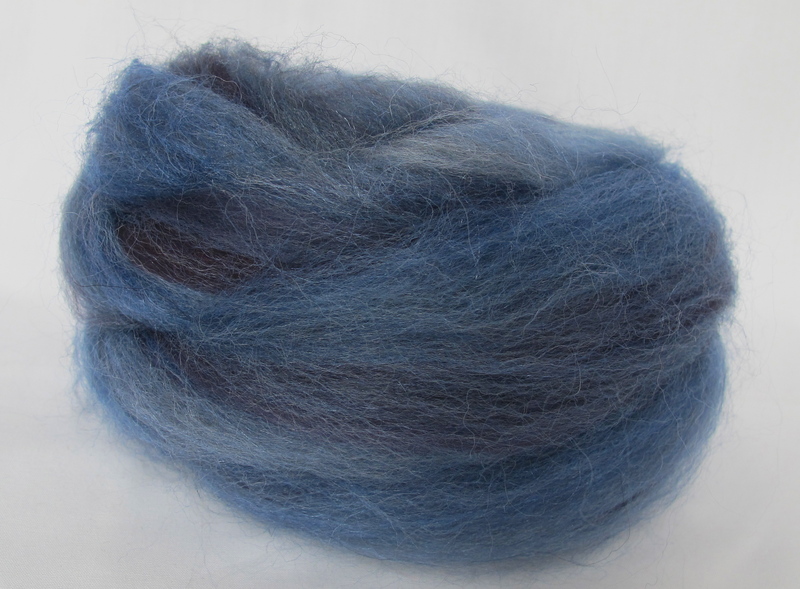 This colour way is called blueberry because well, erm… it’s kinda like blueberries. It’s 368g but I could split it in half or thirds. 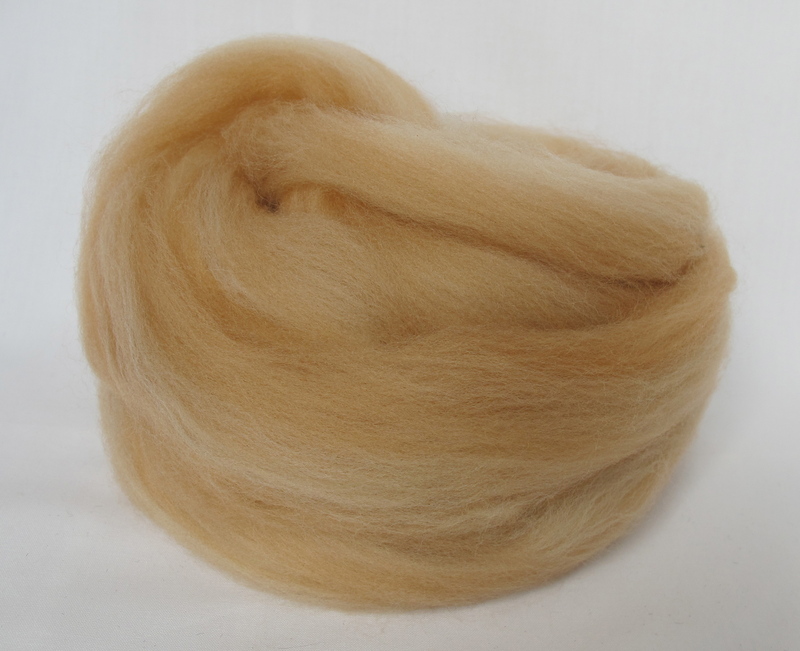 $28 per 100g because it’s hand blended it is very light and airy so it drafts beautifully. In order to preserve it’s light fluffiness I package it in boxes.